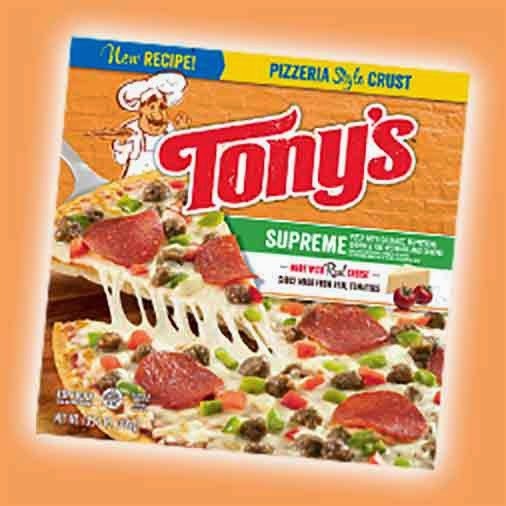 Tony's Pizza has been a favorite and staple in our home for years. 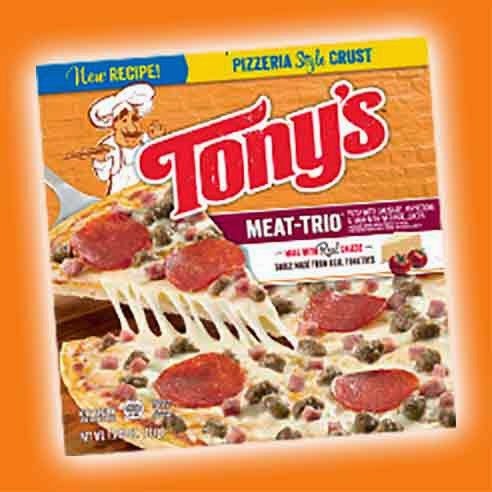 We don't get it too often, but when we get frozen pizza, Tony's is our choice. Recently they came out with Pizza for All though! Full size pizzas to feed your whole family. They have also improved their crust on all pizzas, including the singles. 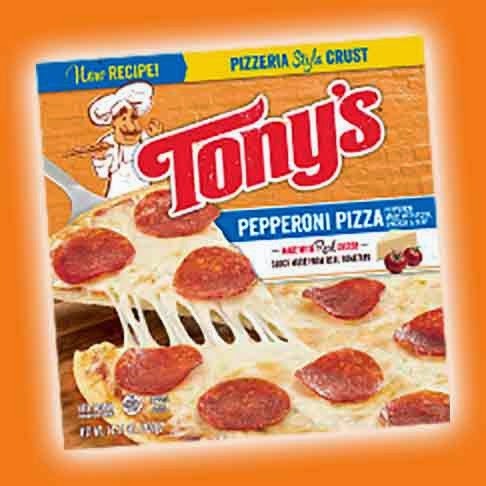 Tony's now has Pizzeria Style crust! They also have real cheese and sauce made from real tomatoes. Although the pizza was good before, I have to say that the pizza is a LOT better now. They have definitely improved it and it's up thee with the other brands on the market currently for frozen pizza. The pizza was so good, with good cheesy toppings and the meat was superb. This was just as good as any pizza you buy from a restaurant and was cheaper than most too. Price: I think thy were $4.49 each! Overall: ***** Very good pizza with real toppings and the crust was real yummy too. I love their pizza! I remember years ago when my dad was still with us, he did not like frozen pizza at all but he said with this he rather liked it because it did have a great crust. Never forgot that coming from him. It has been a while since I ate a Tony's pizza. May pick one up next grocery trip.